Jim Wong-Chu is a legend in the Asian Canadian writing community. As founder of the Asian Canadian Writers' Workshop (and its magazine Ricepaper), he constantly encouraged and inspired writers across the country to get their work published and acknowledged, from Paul Yee and Evelyn Lau to Madeleine Thien and Catherine Hernandez. When Jim passed away in 2017, at the age of sixty-eight, he left not only a void in the Asian Canadian writing and publishing community but also a legacy of his own work that was never fully recognized. When it first appeared in 1986, Chinatown Ghosts was the first Chinese Canadian poetry book ever published; the poems spoke eloquently to the Chinese Canadian experience, both historical and present day. 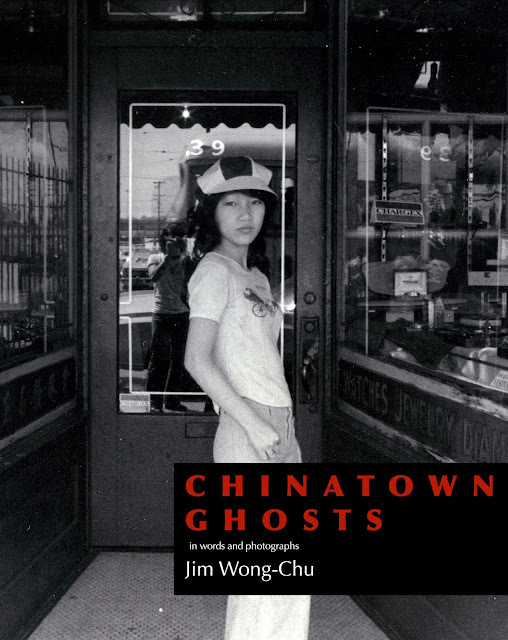 Out of print for some twenty-five years, this new edition includes Jim's striking and evocative photographs of Vancouver's Chinatown, revealing the soul of a place and a community that is threatened by gentrification and displacement. The book also contains numerous tributes to Jim from some of Canada’s finest Asian-Canadian writers and editors, including Allan Cho, Glenn Deer, Catherine Hernandez, SKY Lee, Fred Wah, Terry Watada, Rita Wong, and Paul Yee. Chinatown Ghosts is a moving and stirring tribute to a poet, a photographer, and a community. Chinatown Ghosts: The Poems and Photographs of Jim Wong-Chu will be launched at LiterASIAN 2018, as part of the opening event.